Rich in natural as well as human resources, Turkey has a dynamic economy. However, not all of the population is able to benefit from it. In fact, poverty still poses a serious problem for a segment of the population. 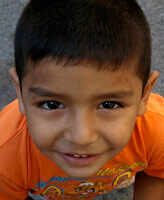 Certain children are unable to enjoy all of the rights proclaimed by the International Convention of Children’s Rights. 17% of the Turkish population lives below the poverty line. This figure, while not alarming, nevertheless needs to be reduced—especially since the gap between rich and poor, along with the disparity between rural and urban areas, is widening. Many children from poor families are unable to benefit from the right to healthcare or to protection under the law as other children can and do. Reforms to the system have been put in place. Still, there are indicators that the health authorities need to do more. 11% of babies are born with dietary deficiencies and 20% of children die before the age of 5. Better medical equipment is needed and the overall competence of health personnel needs to improve so that patients’ needs can be met effectively. Progress has been made with regard to school attendance. Still, 5% of Turkish children do not attend school. Girls are especially hard hit by this trend. Quite a number of them drop out of school after the fifth or sixth year. Mistreatment of Turkish children remains a problem; and it takes various forms: physical, psychological, sexual. The worst form of violence is the honor killing. Numerous young girls, principally those living in rural areas, are the victims of ancestral rites and traditions. According to these customs, it is necessary to preserve family honor at all times. A girl can be murdered by her family if she speaks to a stranger, if she frequents the homes and houses of men, or even worse if she is raped. Often a meeting is held to determine whether or not she ought to be killed. If the decision is made to kill her, she will die amid much suffering: mutilation of the ears, strangulation, burial while still alive. Despite the establishment of a new penal code in 2005 which explicitly provides for the prosecution and punishment of such crimes, honor killings persist. Today, families attempt to escape justice by trying to make the killing look like a suicide. With the aid of an International Work Organization program aimed at abolishing child labour, Turkey has made much progress in this regard. It is estimated that 3% of Turkish children work. In order to protect the lives and health of these children, child labor needs to be completely outlawed. Those who work in repair shops, carpentry shops, or at construction sites, breathe in dust, dirt, smoke and any number of noxious chemicals. The consequences for their health are invariably bad and render them vulnerable to numerous maladies. The sexual exploitation of children for commercial purposes remains prevalent in Turkey. The minimum age of consent is 15: anyone who has sexual relations with a girl below that age can be thrown into prison. However, certain young girls are forced by traffickers or by poverty to submit themselves to such exploitation. Another cruel form of exploitation exists in Turkey. It involves the procurement and sale of human organs. Owing to the high monetary value placed on human organs, certain traffickers do not hesitate to seize children for the purpose of removing their organs and selling them to interested buyers. Child marriage, despite having undergone a significant decrease, is still practiced. The legal age of marriage is 17 for both girls and boys. 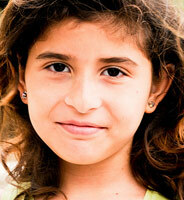 However, there exist situations in which girls as young as the age of 12 are married. Such marriages exist primarily in rural areas and often occur between cousins. The wedding ceremonies themselves tend to be unofficial, since the practice itself is illegal. Recently, the Turkish police arrested a number of men in their twenties who had married 12-year-old girls.